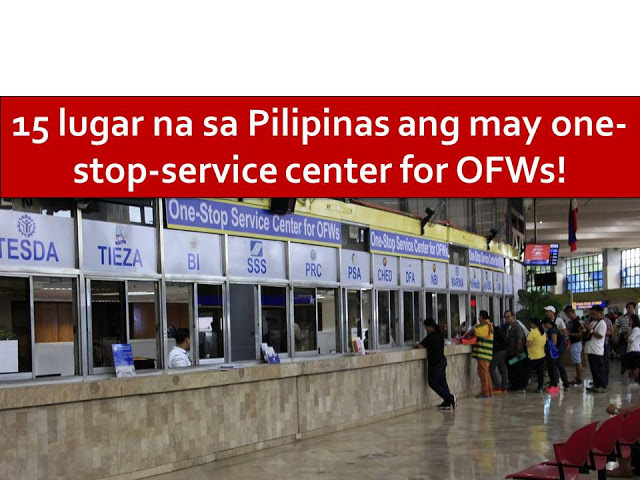 Aside from establishing a One-Stop-Service Center for OFWs in every region, an OFW office in every province is now being pushed. 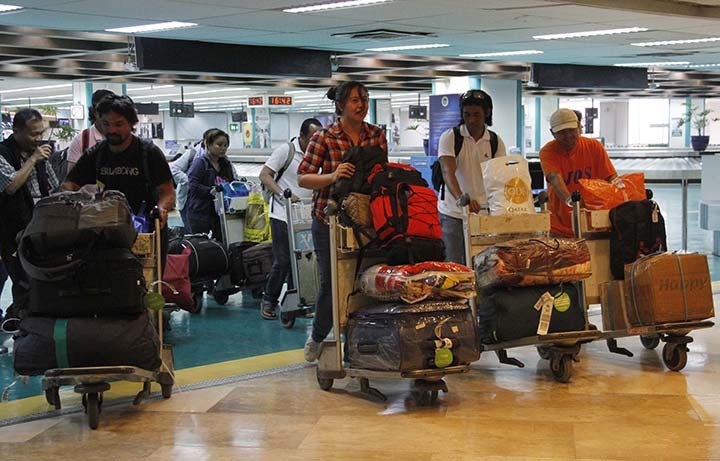 According to Muntinlupa Representative Ruffy Biazon, this will ensure that all concerns of Overseas Filipino Workers, dubbed as modern day heroes will be accommodated and addressed easily. Biazon added that the government should come up with program and mechanism that promote and protect the interest and welfare of OFWs as well as their families. In his House Bill No. 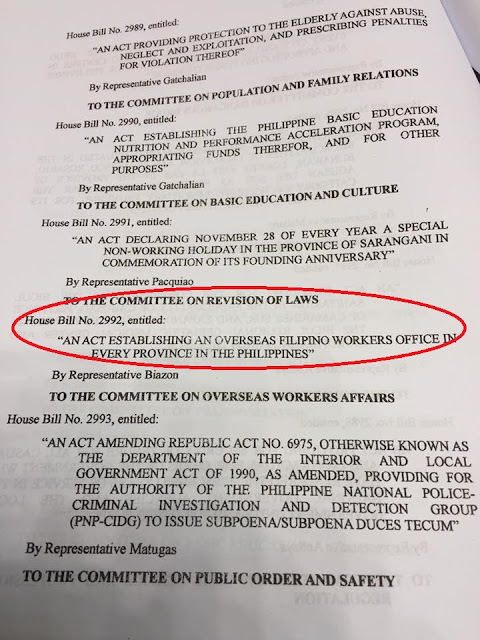 2992 or "An Act Establishing and Overseas Filipino Workers Office in Every Province in the Philippines" Biazon is pushing for establishing a one-stop-shop office for OFW in every province in the country. The purpose is to cut down the costs for applicants who wants to work abroad by putting together under one roof all the agencies that they need to transact for their employment. Also, he said that the presence of the one-stop shops in the provinces will make it unnecessary for applicants to travel outside their provinces to get their documentary requirements. HB 2992 mandates the Secretary of the Department of Interior and Local Government (DILG) in consultation with the local government units (LGUs), Department of Foreign Affairs (DFA), Philippine Overseas Employment Agency (POEA), the Overseas Workers Welfare Administration (OWWA) and all other relevant government agencies to formulate the necessary implementing rules and regulations of the proposed act. “There is no better place to start than at the provinces. 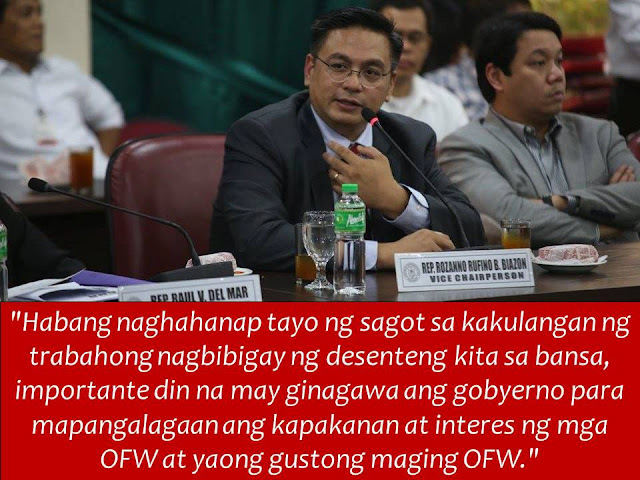 After all, aside from the families of OFWs who benefit from their remittances, these provinces also benefit as most of these remittances are either spent or invested where these OFWs and their families reside,” Biazon stated. Based on the 2015 survey in Overseas Filipinos, there are around 2.4 million OFWs all over the world.